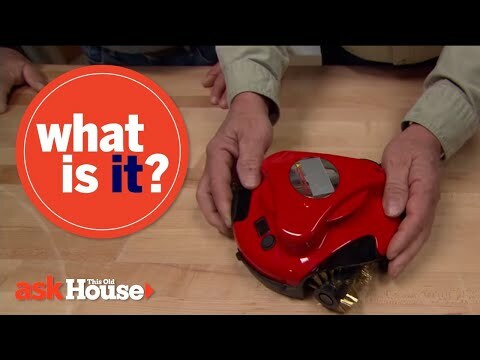 Ask This Old House general contractor Tom Silva shows a red tool with brass brushes, but What Is It? The Grillbot (https://grillbots.com/) is an automatic cleaner for a barbeque grill. Homeowners have a virtual truckload of questions for us on smaller projects, and we’re ready to answer. Ask This Old House solves the steady stream of home improvement problems faced by our viewers—and we make house calls! Ask This Old House features some familiar faces from This Old House, including Kevin O’Connor, general contractor Tom Silva, plumbing and heating expert Richard Trethewey, and landscape contractor Roger Cook. This Old House releases new segments every Sunday, Monday, Wednesday and Friday.